Although I make my living as an editor, I also write. 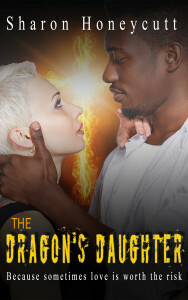 My first published book is The Dragon’s Daughter, available at both Amazon and B&N. I invite you to check it out, download the sample, and give it a try! If you enjoy it, please leave a review telling others why you liked it. Thanks so much! Underneath her Ku Klux Klan robe and hood, Mariah Baxter is a normal 16-year-old girl. She plays volleyball. She shares everything with her best friend, Chloe (who is also in the Klan). She fights with her older brother, Jeremy. She rebels against her dad—the grand dragon of the KKK. See, Mariah doesn’t believe in the KKK. She hates it, in fact. She hates what they stand for. She hates their prejudiced beliefs and the things they do because of those beliefs. But she’s trapped in that robe and hood because of who her dad is. At least she thinks she is. Then she meets Wendy, a new African American girl who moves to town and becomes her lab partner in chemistry. Wendy is crazy smart and comes from a loving, supportive family—a family that, despite Mariah’s connection to the Klan, opens their hearts to her. And when they do, Mariah starts to see a new future for herself, a future free of the KKK. She knows that it’s possible—to break away—but she also knows it will be incredibly dangerous for her and anyone who helps her. With love and determination, people around Mariah come to her aid. They fight for her. They sacrifice. She knew it would be hard, but she never would have guessed how much her freedom would cost.